With the new Altimax A/S 365, General Tire is launching an all-season tyre for European requirements. Hanover, Germany, August 8, 2016. With the new Altimax A/S 365, General Tire is launching an all-season tyre for European requirements. The U.S. tyre brand, which in America has a long history of developing high-performance all-season tyres, has endowed its new arrival with a good blend of safe-driving characteristics in summer and winter alike. 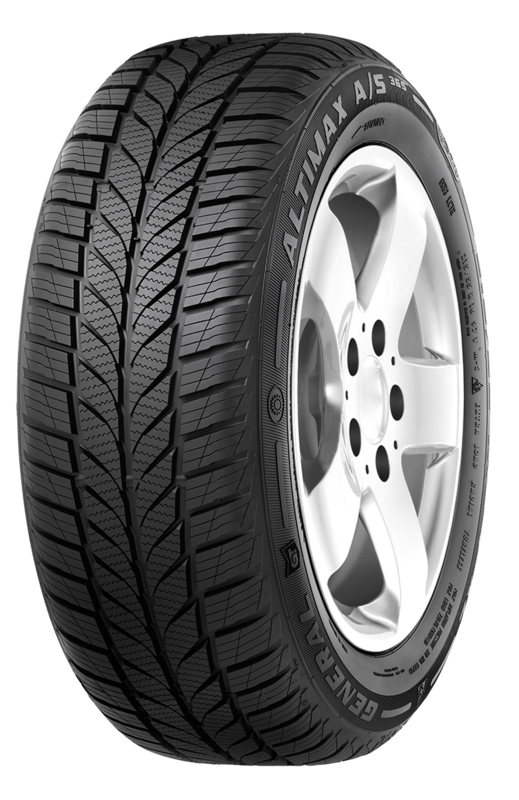 The Altimax A/S 365 with its directional tread will be available from late summer, when General Tire will be offering 24 sizes for 14-17 inch rims and approved for speeds of up to 240 km/h. When designing the tread, the developers opted for a combination of elements from summer and winter tyres. Stable longitudinal shoulder blocks provide good transfer of grip when moving off and braking. Wide circumferential and lateral grooves make for rapid water evacuation from the contact patch when driving in the wet. For safe driving in winter, the new Altimax A/S 365 features V-shaped blocks in the center of the tread, specially designed for all-year use and with sinusoidal sipes that offer a large number of biting edges. This way, the tyres can build up the necessary grip for braking, moving off and lateral guidance in typical wintry road conditions too. The regular distribution of the sipes in the tread helps the blocks retain their stiffness, leading to even wear and enabling the tyre to offer high mileage. Compared to a standard European winter tyre from General Tire, the new Altimax A/S 365 offers three percent less grip on snow, a two percent drop in handling properties on snow, identical safe values for aquaplaning, as well as shorter braking distances and better handling on dry roads. The Altimax A/S 365 will be manufactured in 26 sizes in widths from 155 to 215 mm, with aspect ratios of between 50 and 70 percent, and for 14-17 inch rims. Depending on their size, these tyres are approved for maximum speeds of between 190 and 240 km/h. Along with the M+S symbol – an absolute must for winter use – the Altimax A/S 365 also bears the snowflake symbol on the sidewall to document its safe winter driving characteristics. On the EU tyre label, the Altimax A/S 365 scores between F and C ratings for rolling resistance and between E and C ratings for wet grip.